We need more women in tech! Innovation needs creative minds and successful technology companies need a diverse skill set among their employees. Every company can profit from a good balance between men and women however high-tech companies still struggle to find the female experts to achieve this. So what to do about it? 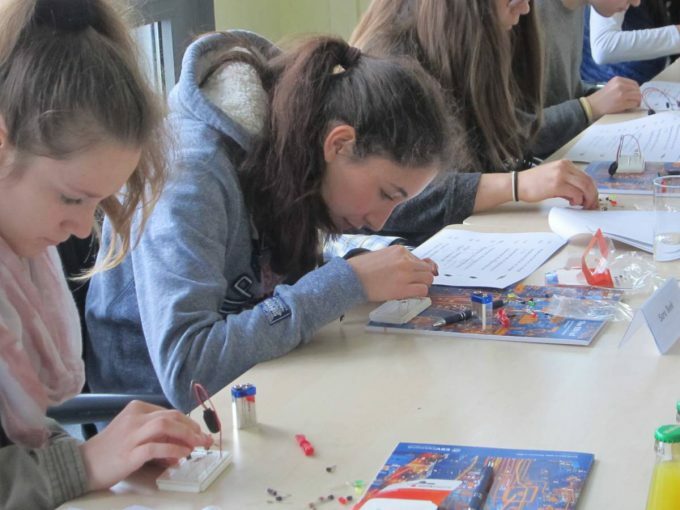 In order to arouse interest for technology girls need to get in touch with engineering when they are still young and candid for all possibilities lying ahead of them. 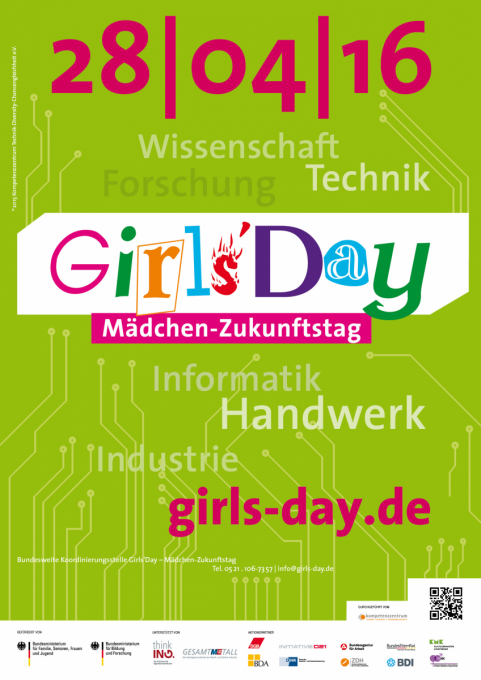 Therefore, in 2001 the “Girls’ Day” was introduced in Germany. 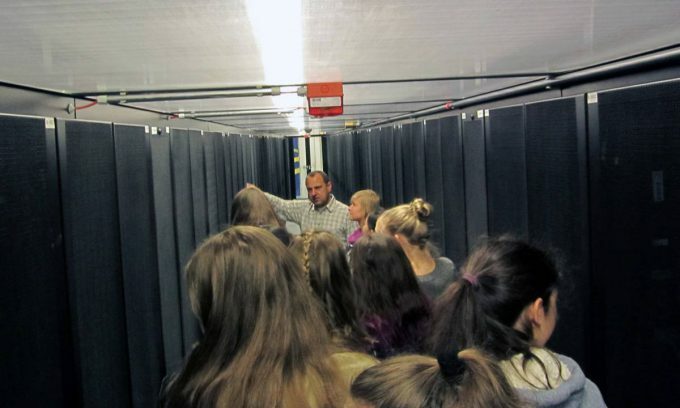 Under this name technical enterprises, enterprises with technical departments and technical training facilities, universities, and research centres are invited to organise an open day for girls. 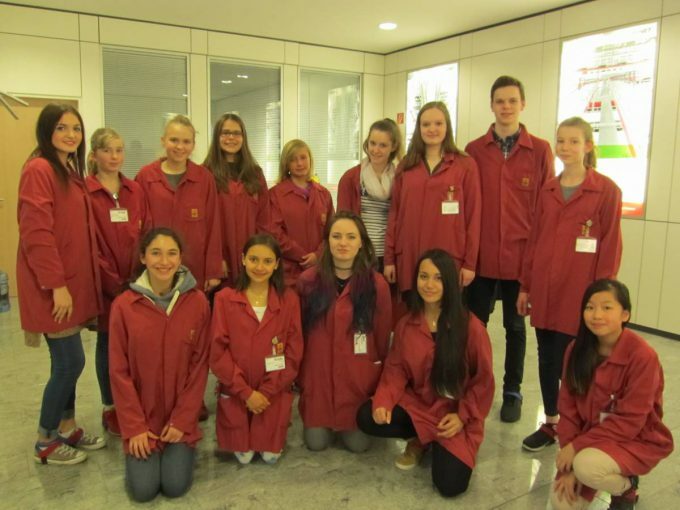 Yesterday the 16th yearly Girls’ Day took place – the initiative aims to help girls to get insights in engineering jobs. Due to the huge success of this initiative yesterday’s 16th Girls’ Day wasn’t limited to Germany but was held in sixteen other European countries. Results of the last years show that the vocational choices of girls are influenced in a very positive way. For companies, Girls’ Day has evolved as an important instrument of their recruitment policy. 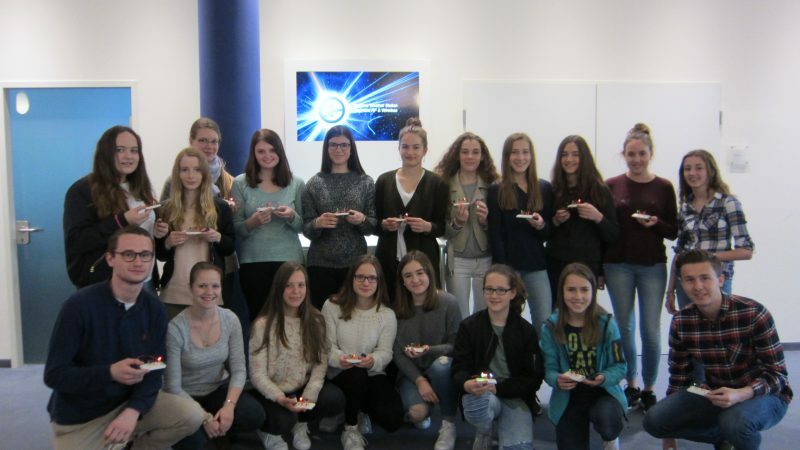 At EBV we are more than happy to participate in this incredible program every year and invited a group of young female students into our headquarter to get in touch with our business and to experience the world of semiconductor distribution. 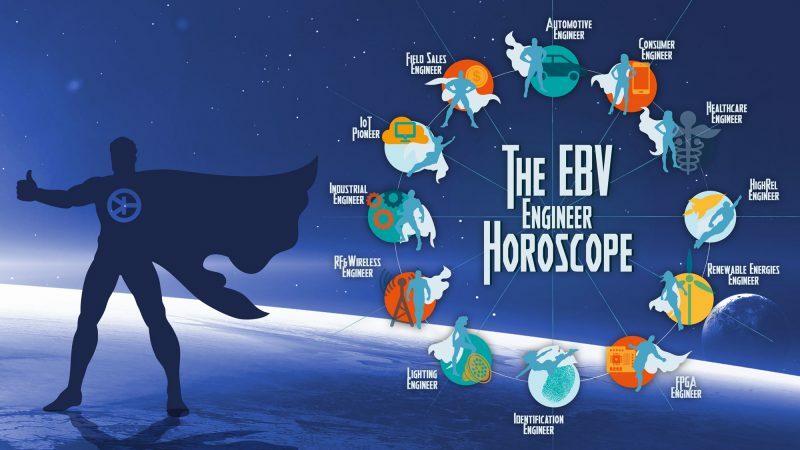 In order to create a diversified agenda which was both fun and informative we kicked the day of with an introduction to EBV followed by a real engineering task. 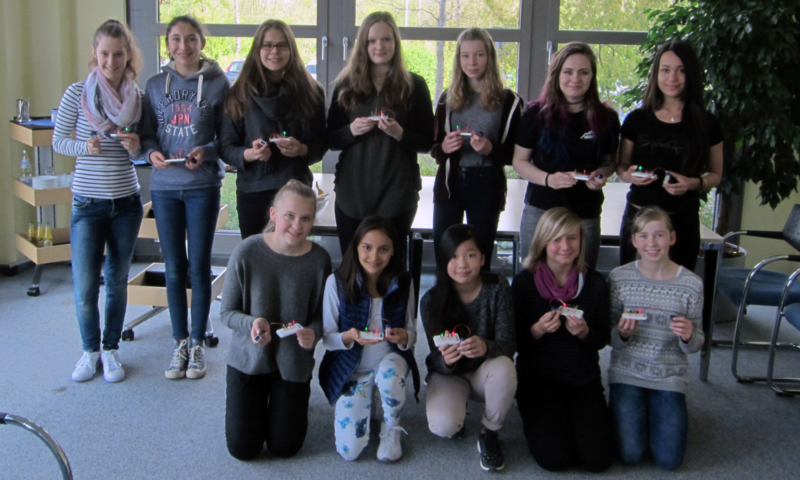 The girls were handed EBV development kits and developed their own LED-indicator lights. Right after they have accomplished to build the model we took the inquisitive visitors to our data centre and showed them how it works. The next stop was our football table where the girls proofed that they are definitely able to keep up with the boys! After showing the students our warehouse we explained the different career opportunities from apprenticeship to dual university programs to them. To end the day we organised a little scavenger hunt through our headquarters which led the girls to different departments, enabled them to ask questions and to create little presentations for the others. To put it in a nutshell, the Girls’ Day 2016 was another great event and was as much fun for us as for the girls and hopefully contributes to a future in which women and men make up for a great balance in tech companies. 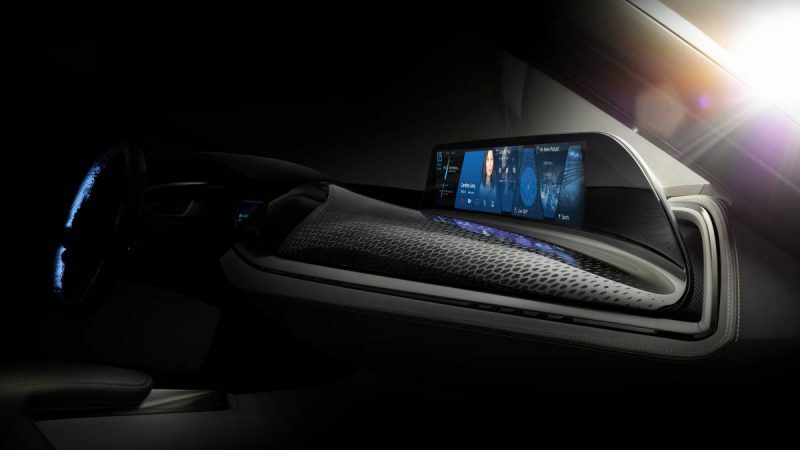 Get more information about this initiative on the website here.